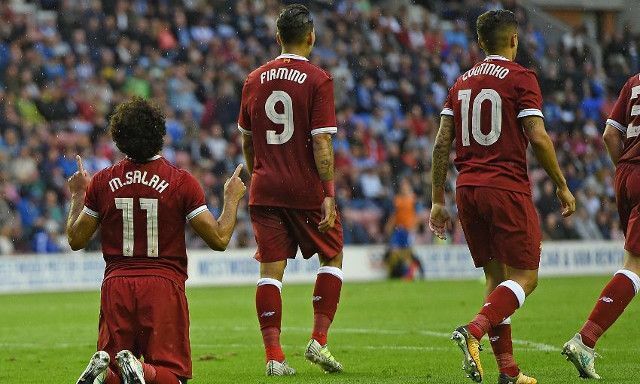 Saturday’s pre-season friendly against Hertha Berlin saw Mohamed Salah continue his impressive start to life at Liverpool by getting himself amongst the goals yet again. The Egyptian proved what a serious threat he is through the middle as he latched onto a sublime lofted pass by Philippe Coutinho, before calmly lobbing the goalkeeper. It served as further evidence of the two Reds striking up a frightening partnership and the summer signing fitting perfectly to Liverpool’s style of play. Salah’s second half goal sealed a 3-0 win for the Reds after Gini Wijnaldum and Dominic Solanke had given Jurgen Klopp’s men a comfortable 2-0 lead heading into the break. It was the winger’s third goal since signing from Roma and another reminder of just how suited he is to thrive in Liverpool’s setup.